Gwinganna Lifestyle Resort is a remote eco-resort inspiring healthy lifestyle changes in its guests with carefully curated wellness packages. Designed to give you the most from a short amount of time, this three-night retreat focuses on relaxation and balance, leaving guests invigorated and recharged. Enjoy the beauty of your natural surroundings and engage with nature for a revitalising experience. 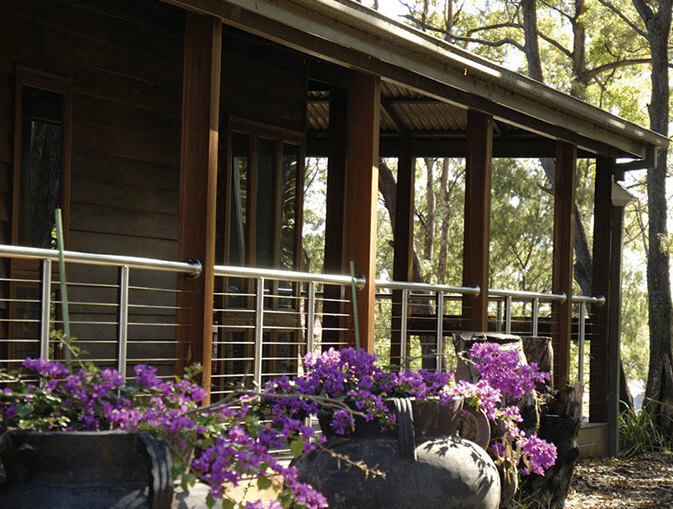 There are seven types of accommodation on offer at Gwinganna Health Retreat: the Luxury Villas, Meditation Suites, Peel House, Orchard Suites and Heritage. All rooms are equipped with air conditioning, ceiling fans, and come with complimentary in-room iPods. Heritage rooms are located close to the central facilities. 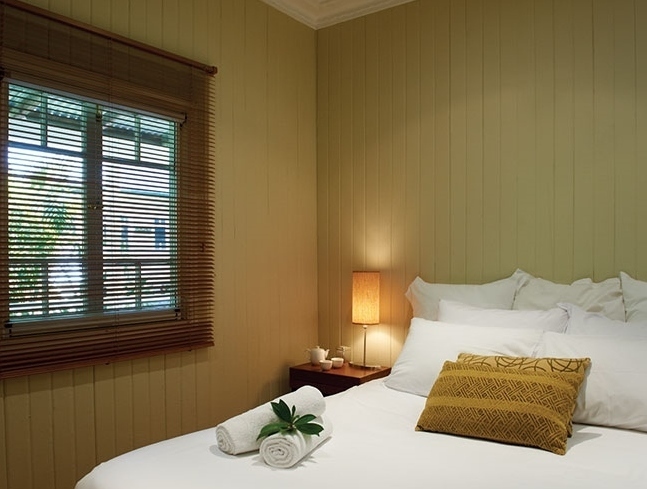 Experience a cosy and comfortable Queensland style room with everything you need to enjoy restful evenings. 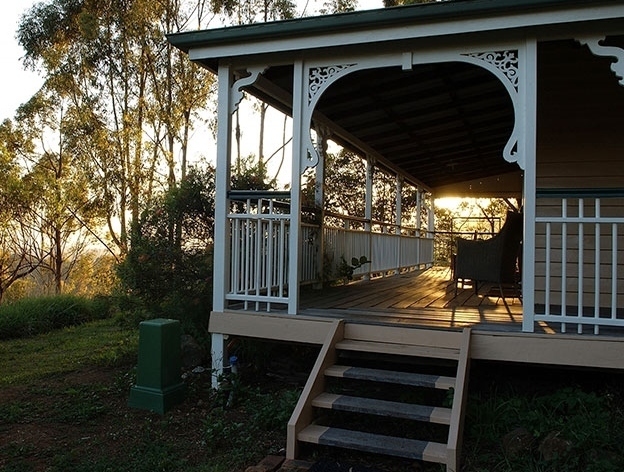 The Peel House is located near the villas, and features stunning views over the Gold Coast. 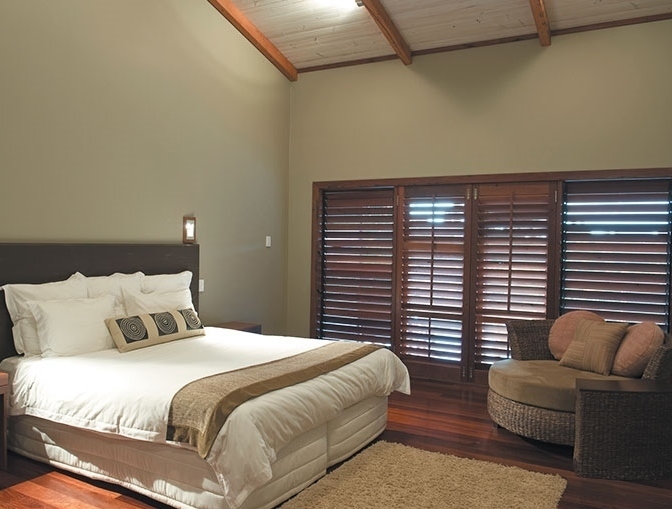 The house offers two bedrooms, each with a queen bed and ensuite including a bath. 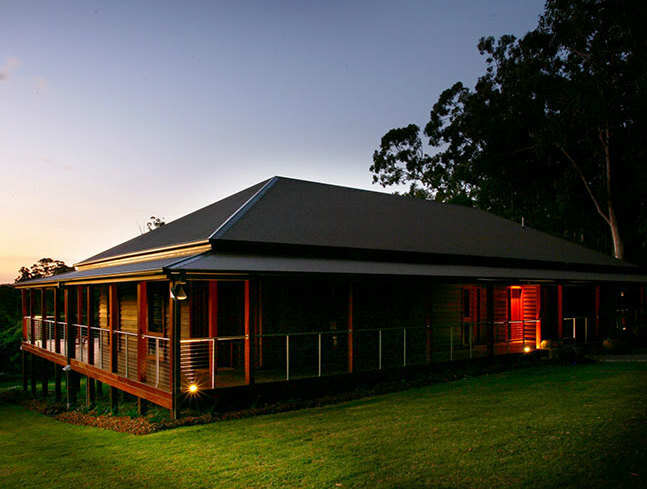 Nestled in the orchard, the Orchard Suites are built from beautiful Australian reclaimed timbers with soaring ceilings, natural stone bathrooms and spacious verandahs. A recent renovation has seen some of the Orchard Suites upgraded to Deluxe Suites, now offering luxurious outdoor, free-standing deep baths on the deck to add even more relaxation to your stay. 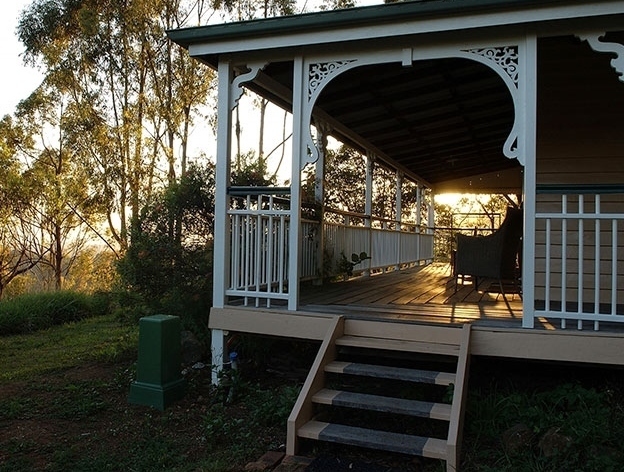 Overlooking the orchard, there is a privacy screen that allows you to still enjoy the views. The Meditation Suites are decorated in soft colours, with spacious open plan design to create plenty of natural light. The suites have a serene outlook and enhancements for meditation and yoga practice in your private oasis including meditation cushions and timer, yoga mat, and reference materials. 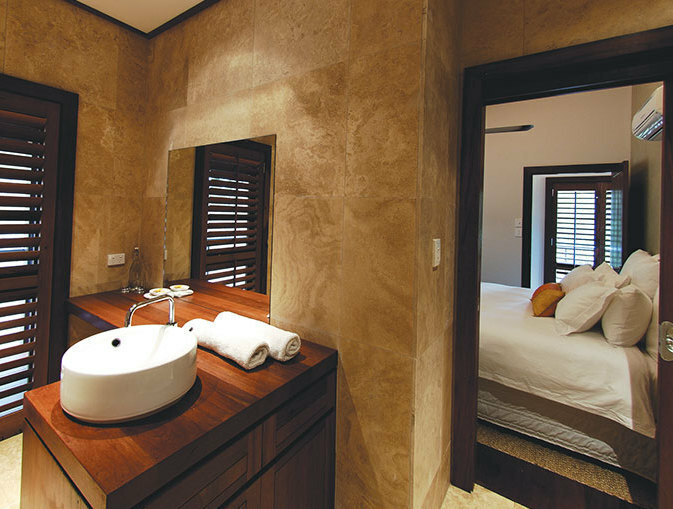 The Luxury Villas incude the Boorabee Villas and Moonarie Villas, which include a private decks with plunge pools and exclusive buggy use, and the Billabong Villas, which feature a private steam room, large shower and deep bath. The contemporary villas have king-size beds, private laundry, and secluded locations on the property offering beautiful scenery and promised peace. For pricing on these villas, please enquiry and speak with our dedicated concierge team. The farm-to-table menu at Gwinganna is inspired by the land, and many of the meals on offer have featured in the resort’s award-winning cookbook. Recipes are designed to compliment your body’s natural biochemistry and balance blood sugar levels. The organic cuisine focusses on seasonality, wholefoods, and much of the produce comes directly from the resort's onsite gardens. All dishes are gluten- and dairy-free, and allergies and intolerances can be accommodated. Menus are designed in consultation with a nutritionists and are specific to each wellness programme. Using minimal and creative cooking and preparation techniques, the dishes are designed to be 'low human intervention' which means the ingredients has undergone little or no changes from its original state to preserve as much of the macro and micronutrients as possible. 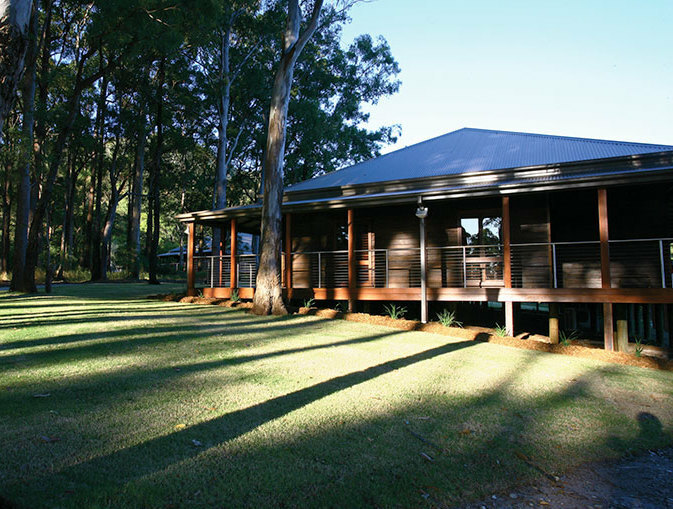 Gwinganna Health Resort is set on 200 hectares of high-altitude land in the Tallebudgera Valley in Queensland. The pristine environment remains relatively untouched by time, with views of Moreton Bay and Coolangatta in the distance. 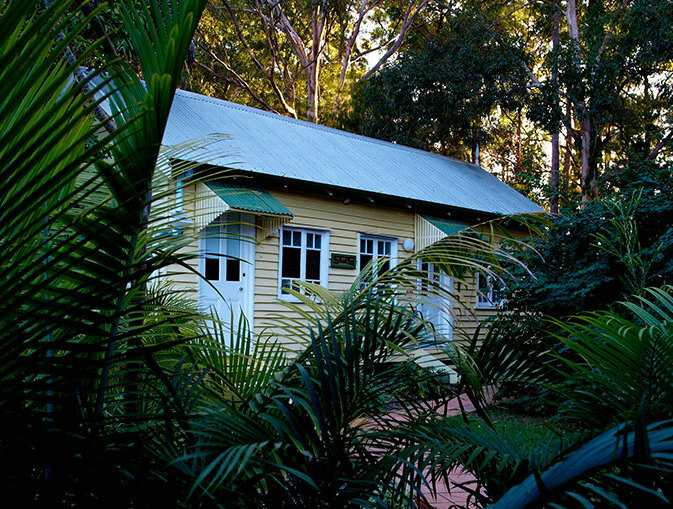 Gwinganna is less than 30 minutes drive from Gold Coast airport, around 60 minutes from Brisbane and just 15 minutes from Burleigh Heads beach. Courtesy airport transfers are available at set times from Gold Coast airport. Limousine and helicopter transfers also available on request.